On arrival in Peru, one of the first things that hit me, apart from the heat, was how little English everyone spoke. However, this was a challenge I was ready to face, spurred on by the beautiful culture and spectacular views surrounding me. 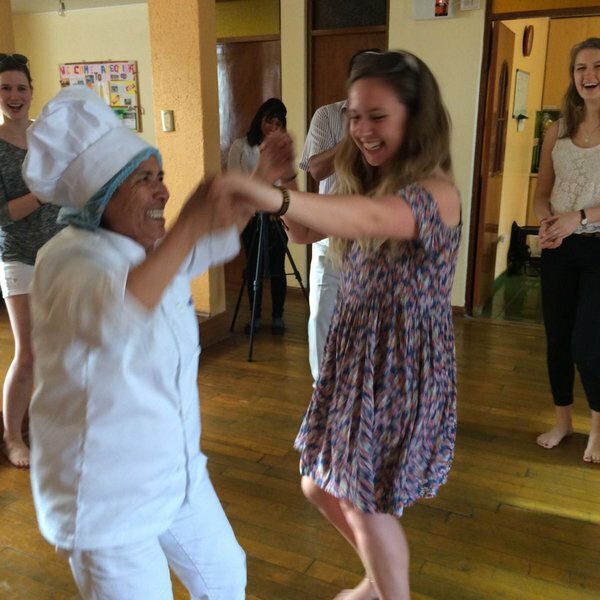 Initially Peruvian people can be very shy and sometimes need you to make the first move – a smile usually does the trick. 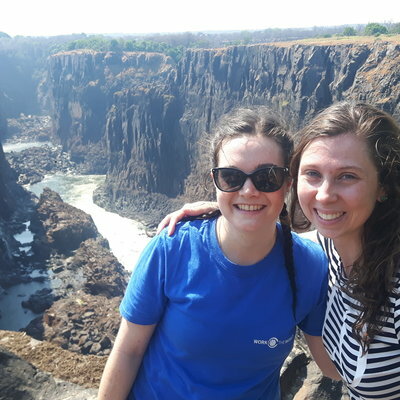 Once you get to know them and begin talking, you’ll soon find they are an incredibly friendly bunch of people and are always happy to share their culture and knowledge with you. Although the culture is very beautiful in Peru some of the cuisines did throw me a little. 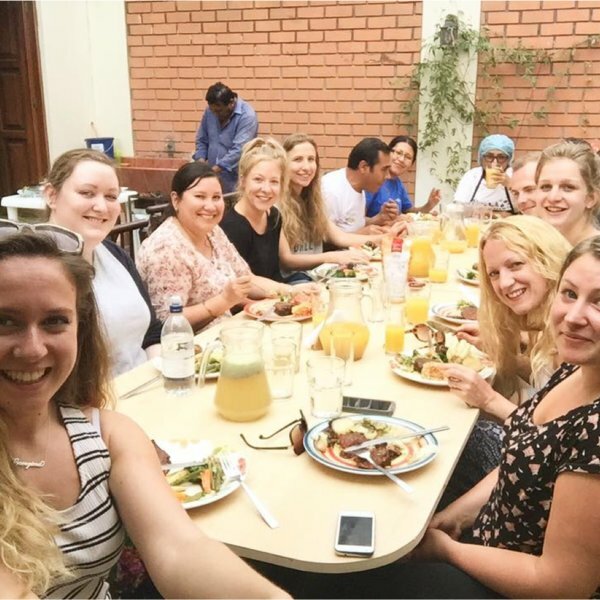 In the Work the World house we had the most incredible caterer, ‘Mama Julia’, who cooked both Western food and traditional Peruvian cuisine. The latter included Guinea Pig, which was an interesting experience! However, I must admit I did enjoy eating Alpaca, even after taking a selfie with one! Sadly I was only in Peru for 3 weeks, so alongside placement I had two weekends to see the sights. 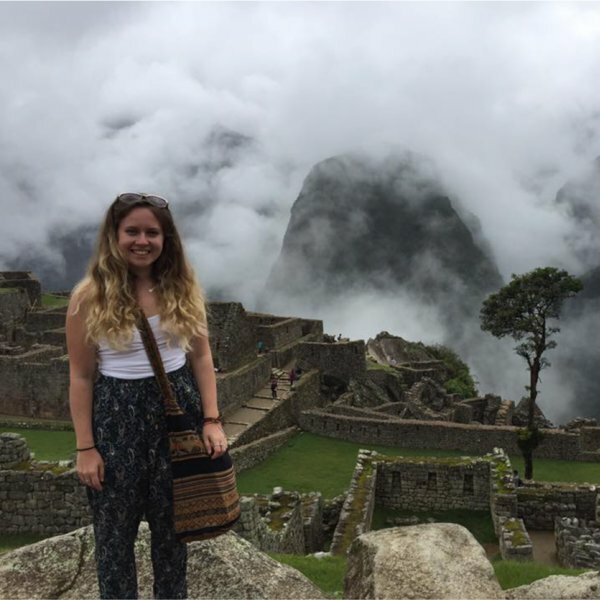 The two adventures I chose were Colca Canyon and, of course, Machu Picchu. 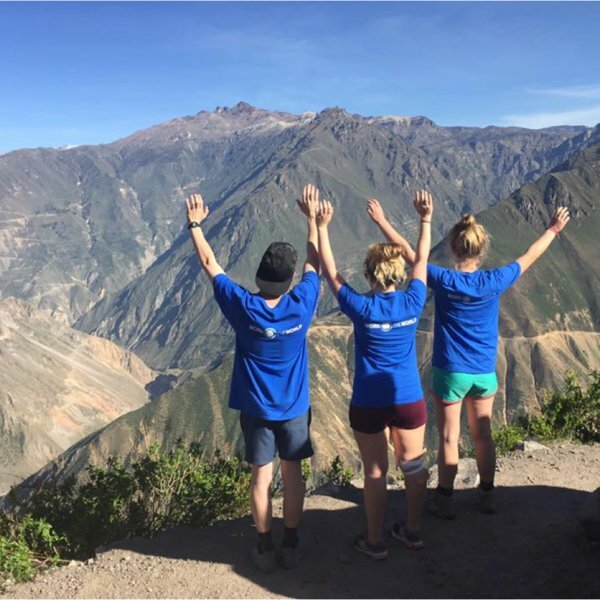 Colca Canyon was an incredible two-day, 23km trek to the bottom, before venturing through the villages and then climbing back up to the top. Having never done anything like this before I was incredibly proud, and also amazed by the beautiful views as I stopped to catch my breath! It really takes you back to basics. I stayed in a hut called the ‘Oasis’ with no electricity and nothing but 3 beds in our room. The feeling of reaching the top after early morning trekking is something I will never forget! On my second weekend, I went to Cusco and saw the beautiful Inca ruins, the Sacred Valley, and Machu Picchu. It isn’t named as one of the Seven Wonders of the World for nothing – it is spectacular, and something I would definitely recommend if you are travelling to Peru! However, it’s definitely something that needs to be booked in advance. 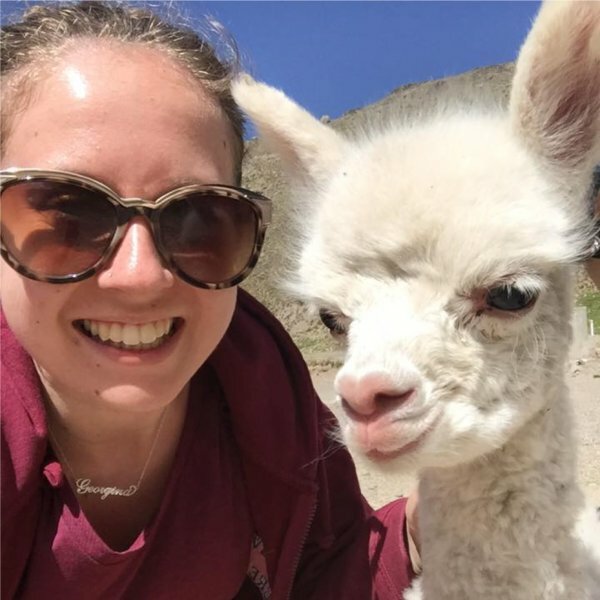 I was also lucky enough to spend the day in Cusco and saw a different part of Peru which was lovely – although there are still llamas everywhere! 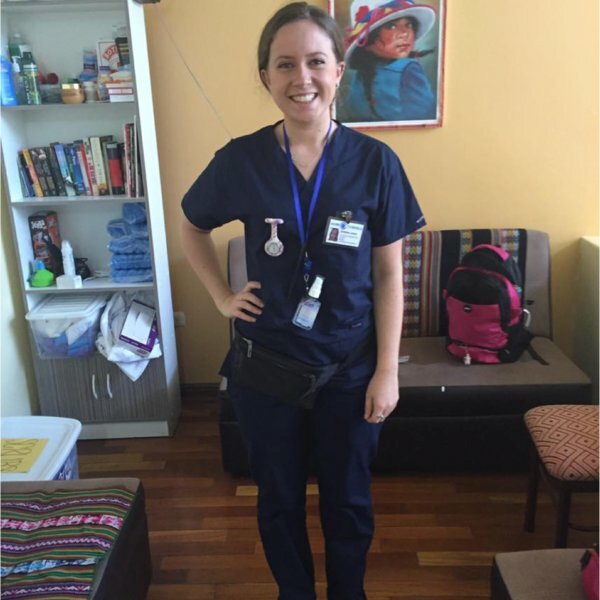 What I will cherish the most from my time in Peru with Work the World is getting back to the basics of Midwifery care and improving my core skills. 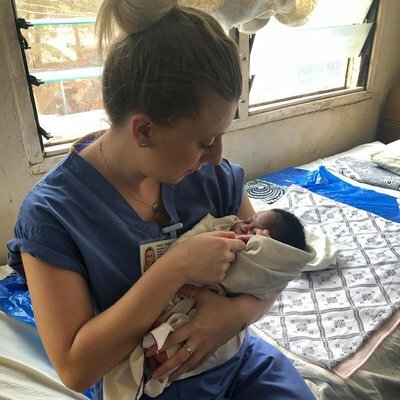 My midwifery placement was an incredible learning experience. 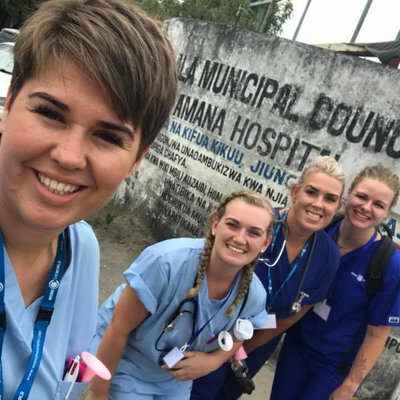 Although you are very aware that you’re going to a developing country and that the healthcare system is very different, nothing could prepare me for walking through the hospital on my first day. Even the very simplest of differences surprised me. Pretty much anyone was able to walk on and off any ward, into theatre or the emergency rooms, as there was no form of security or sliding doors. The lack of privacy given to the patients was a massive thing for me, particularly when working in Midwifery. However, this is so normal to patients that no questions are asked and no complaints are made – it is just what is expected. The hygiene and sanitation in the particular hospital I worked in were also different. There was no toilet paper supplied in bathrooms or soap to wash their hands (it was expected that the patients provide this for themselves). As I was working in a hospital that housed Arequipa’s poorest, the patients tended not to have either of these basics. They were also expected to supply or pay for everything that was used during their care, from gloves and cannulas to blood bottles and medications. These are prescribed and can be collected and paid for in the hospital pharmacy. With particular regards to Midwifery in Peru I found it interesting that the term ‘midwife’ is different for locals, as the Spanish translation of Midwife is ‘Partera’, which refers to a woman who would aid to facilitate childbirth, but has no training. A Partera is the eldest in a community or a mother or grandmother within the family who delivers the babies. 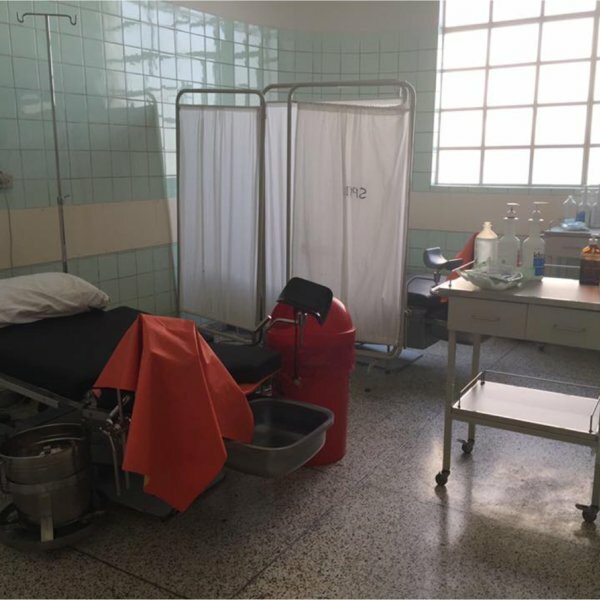 As can be seen in the photo, the delivery room is incredibly clinical and during birth is filled with ‘obstetricias’, nurses and doctors in scrub gowns, hats and masks, which was interesting to see - very different from the experience that tends to be offered in the UK! 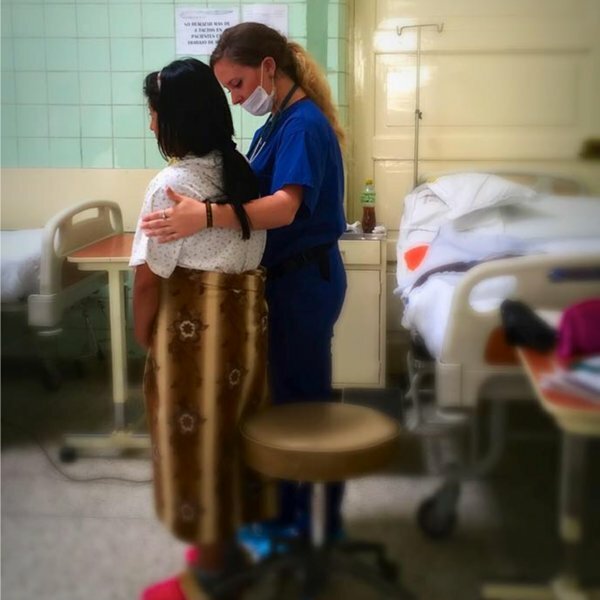 What I will cherish the most from my time in Peru with Work the World is getting back to the basics of Midwifery care and improving my core skills. The obstetricas can come across as harsh and operate differently when it comes to labour care. The idea of compassion being shown to women in labour who are alone (no partners or relatives are allowed into the maternity unit) is alien here. Instead women are expected to be strong during their experience. In spite of the language barrier I was able to support the women I met through techniques such as massage, breathing and methods of relaxation in order to help them cope with the pain that they were experiencing. From passing them water or helping them to the bathroom when required. I absolutely loved living in the Work the World house! I was incredibly lucky to be surrounded by some truly awesome people and we all clicked and became good friends. I have definitely made friends for life in the Work the World house! It was interesting listening to everybody’s individual stories from both their training and home countries. Whilst I was in the house there were people of at least 6 different nationalities. It was nice to come home from the hospital and exchange placement stories with one another and to be there to support one another after a tough day. With regards to the intensive Spanish course – I felt it was absolutely necessary for a productive placement in Work the World’s partner hospital. With regards to the intensive Spanish course – I felt it was absolutely necessary for a productive placement in Work the World’s partner hospital. There is little English spoken within the hospital and to be able to earn the trust to open opportunities for yourself you must make an effort with the language. Hospital staff do not speak much English if any, however some interns do which will be useful if you have more specific questions. I found it frustrating initially as although I could roughly speak the language in order to get my point across or ask questions, it was difficult to understand responses, especially when people spoke quickly. Prior to the Spanish course my level of Spanish was incredibly poor, I had studied Spanish between the ages of 11-14 and at 22 I had pretty much forgotten everything. However, I picked up the language quickly during my time at Spanish school and I believe that this was due to my previous experience. The teachers were really good, especially Maria – she did a lot of role play scenarios, which was helpful! 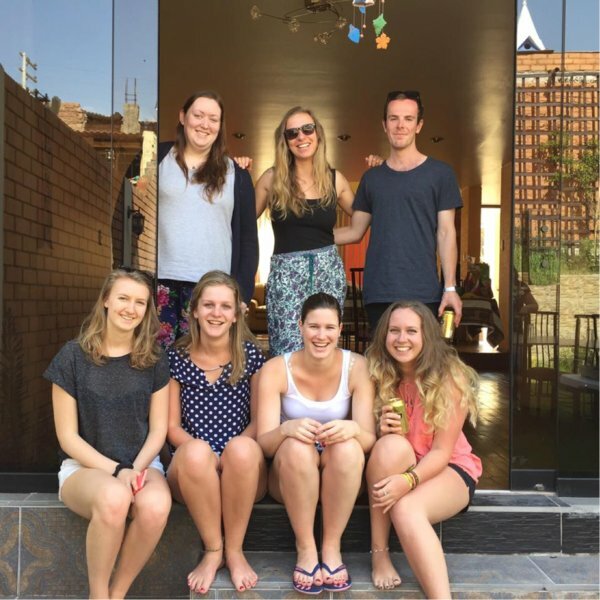 It would be something I would strongly recommend if undertaking a placement in Peru.